Multi-PLATINUM selling singer/songwriter Dierks Bentley has never had to follow trends; he challenges them and creates his own. 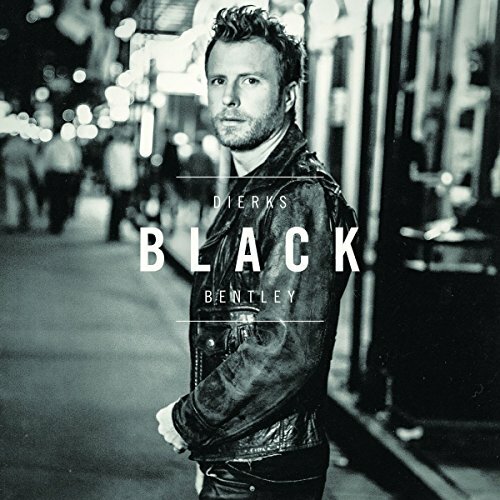 On the heels of a career album earning critical acclaim, commercial success and an armful of Grammy, CMA and ACM nominations, Bentley continues one of the most interesting journeys in country music with the newest mile-marker, his eighth studio album BLACK (Capitol Records Nashville) set for release on May 27. BLACK is personal - after all, it s named after his wife Cassidy s maiden name, but it's really a record about the human heart not any particular human. It explores breakups, hookups, mess-ups and everything in between, shining a light on the things that happen after the sun goes down. It s a relationship album that covers the ups and downs of the journey and ends with some self-realization and evolvement, shared Bentley. The song 'Black' helps set all of that in motion at the top of the album by guiding you into the darkness and the shadows of the night. The same guy who sings 'Somewhere On A Beach' winds up growing and having enough perspective to sing something introspective like 'Different for Girls.' By the last song, he's taking a look back on love and life. Produced by Ross Copperman and executive producer Arturo Buenahora Jr., the slow-smoked grit of Bentley s voice keeps the album rooted in country music, while it also appeals to audiences far beyond the boundaries with fresh sonic textures that flourish on the edge of arena rock. Having a female perspective on this record really made the album more than just music," added Bentley. "It makes it a conversation between a guy and a girl. Sometimes it's harmonious and sometimes it's two people clashing, but it's always there.